While I was watching the Agents of Shield episode "Yes Man" I could not but help think back to a blog I read a year ago. The blog by Andrew Black was about how Loki actually won at the end of the Avengers. You can find that blog Here. Andrew's point was that the end of Avengers appeared to be a Xantos gambit. Loki had the game rigged you see, so that no matter what happened he would win. 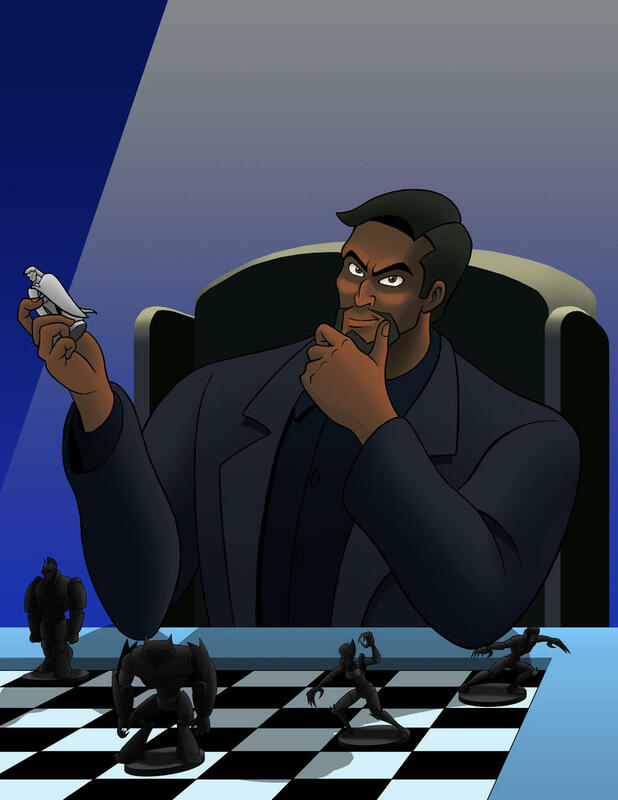 A Xantos gambit is a trope that refers to the villain Xanatos in the cartoon Gargoyles. Xanatos was the veritable master of the Xanatos Gambit. He was constantly hatching plans where all outcomes led to him winning. If you think about it Loki and Xanatos are very similar villains. Both build insanely detailed plans where they have predicted every potential outcome. While the hero often rides off into the sunset thinking he/she won, more often than not Loki/Xantos got exactly what they wanted in the first place. What did Loki want? Well at the end of Thor, Loki was banished from Asgard. He allied himself with Thanos who gave him the Chitauri scepter (And maybe the Mind Infinity Gem) Thanos in return wanted something. What? We can only guess that some how it involved breaking into Asgard and getting Thanos more infinity gems. In the movie the Avengers, Loki forces the hand of his brother Thor. Thor must either allow Loki to conquer Earth or Thor must capture Loki and return him to?...Asgard. Exactly where Loki wanted to go in the first place. Looking at it from this angle is Avengers even more of a brilliant movie than you initially thought? Do I look beaten to you? During the events of Thor 2, Loki uses an illusion to take the place of Odin. What is he doing while in the role of the All Father? Well we did get a few clues last night. Sif apparently was under strict orders from Odin to bring Lorelei back to Asgard alive. Does Loki have plans for Lorelei? Did she come to Earth under his orders? My guess likely both. Potentially, Lorelei was nothing but a distraction to get Sif out of Asgard so Loki could further his plans. One other interesting thing to note is that Loki would have to have also ordered the Aether (Infinity Power Gem) to be given to the Collector at the end of Thor 2. This was likely the beginning of Loki paying back Thanos. So True believers listen carefully to the orders of Odin and know that they stem from the god of lies and his new Xanatos gambit.